Ovo Merge!TickFile is a free interactive script, which helps you to setup and keep your tick archive up-to-date without the need to re-generate the entire tick data file. Use the script to append the new data to your tick file. Use the script to build the initial tick file. The incremental file data may overlap the base file ending, the overlapping sections gets skipped automatically. The script checks the data to protect from obvious user faults, like missing days between file data files or unusual difference in quotes, to prevent an accidental data damage. The script fully interacts with the user and has only a single standard input. After you already decided which tick data you want to use – see the FXT Builder manual to get the list – you downloaded the history tick data, and unzipped them. 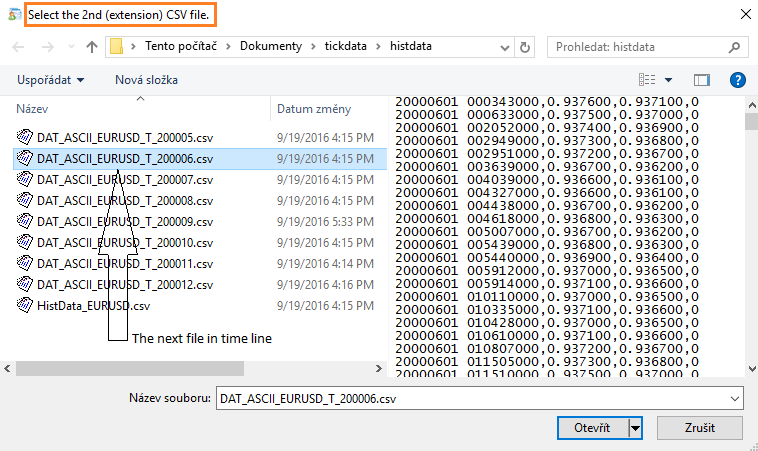 Unless you use a special tool (TickStory or SQ Downloader), very probably you end up with many one-month CSV files. As the FXT Builders expects a single file for every symbol, you need to combine the downloaded tick files. 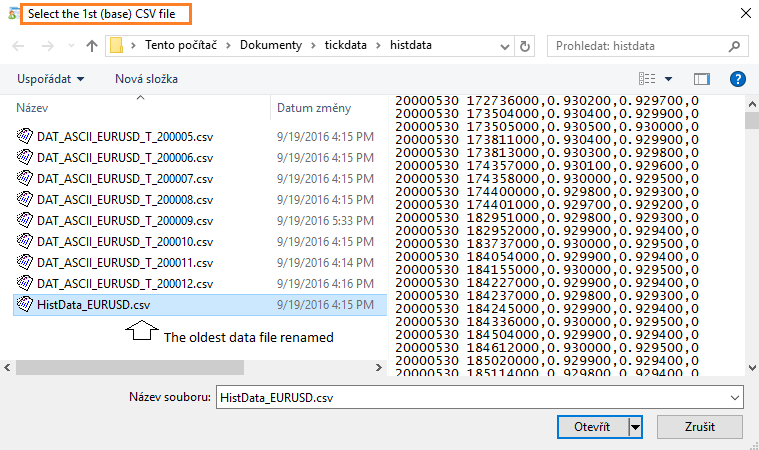 Select the oldest data in your downloaded set of files. Rename it to the final name of single tick data file. Continue loop with point 8, or exit. For updating the tick files with new data the scenario contains multiple vase tick data files, and multiple downloaded tick files with incremental data. The files MAY overlap. For this purpose leave the input with default settings. Continue by OK. Select the base file, and then the new incremental file. Confirm. The files get merged. 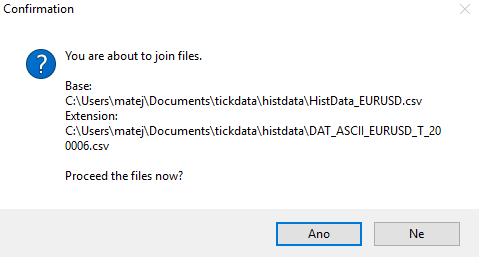 Continue with the next file pair until all tick files are up tu date. Delete all the incremental files, if the update was successful. A script for merging tick data from the incremental file to the base file. This script is completely free to use.